Snowbee Long Fly Fishing Waistcoat. 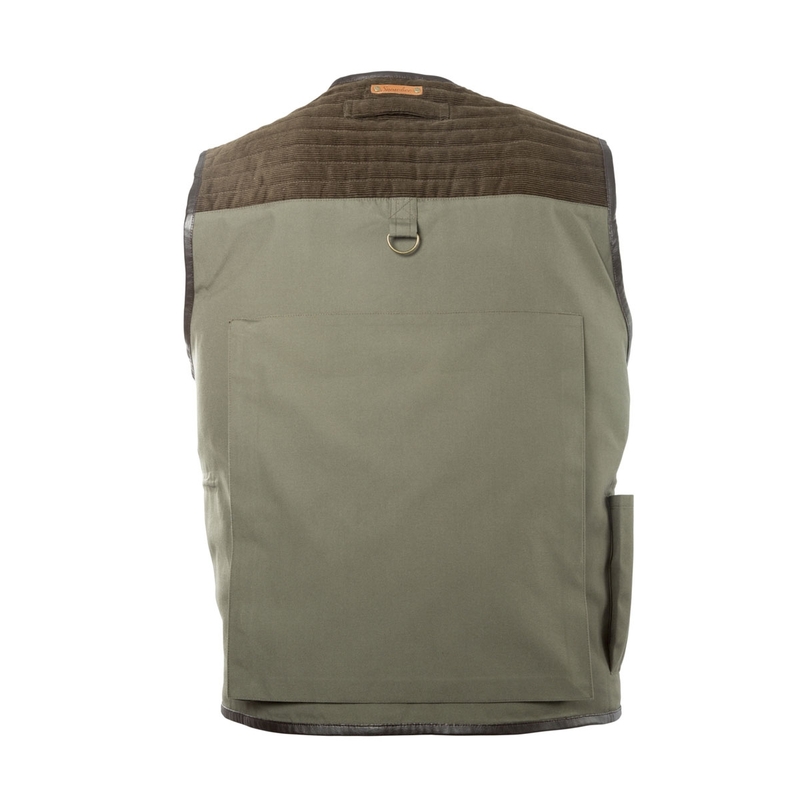 The return of our original English style Long Fly Fishing Waistcoat but with a modern twist. Over the past 10 to 15 years we have all adopted the American style ‘mid-length’ fly vests which double as bank or wading vests. 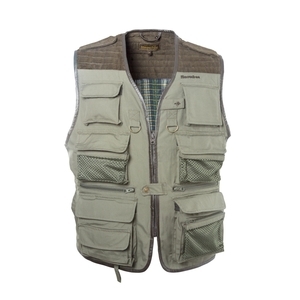 However, Snowbee are constantly asked by bank anglers for a long style waistcoat, so here it is! It’s based on the original model from many years ago, but updated with new materials, new pocket designs and modern features. It’s sure to become a top-seller to the reservoir or bank angler. Made from a hard-wearing polyester cotton with a brushed outer surface. The shoulders are re-enforced with matching corduroy, which helps spread the load. 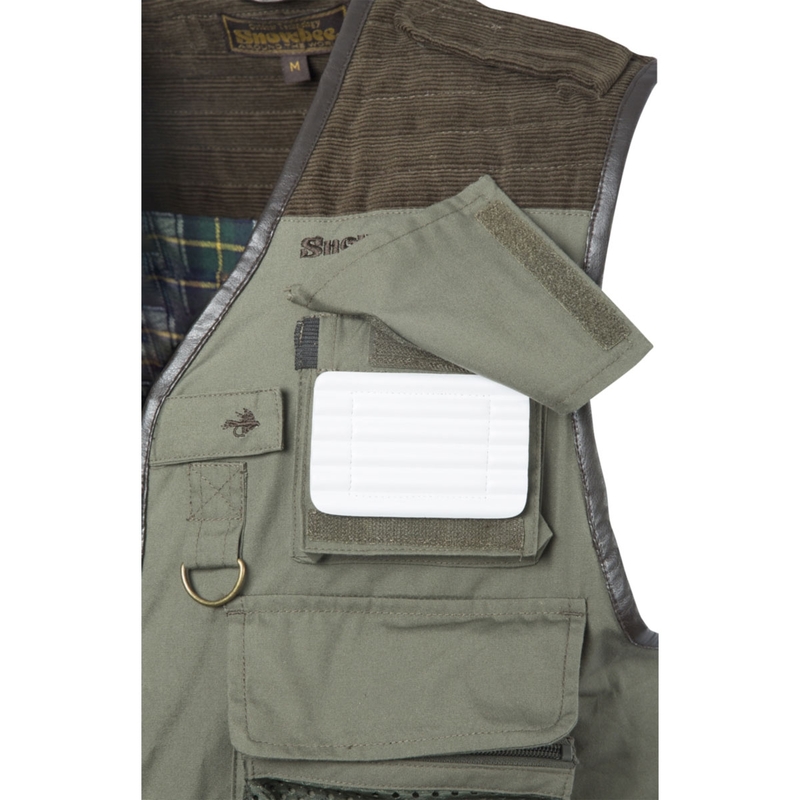 Velcro epaulettes lock fishing bag straps in place, so they don’t slide off while walking. For extra warmth there is a thick, brushed cotton check lining and all the perimeter hems are re-enforced with leatherette trim for extra wear. 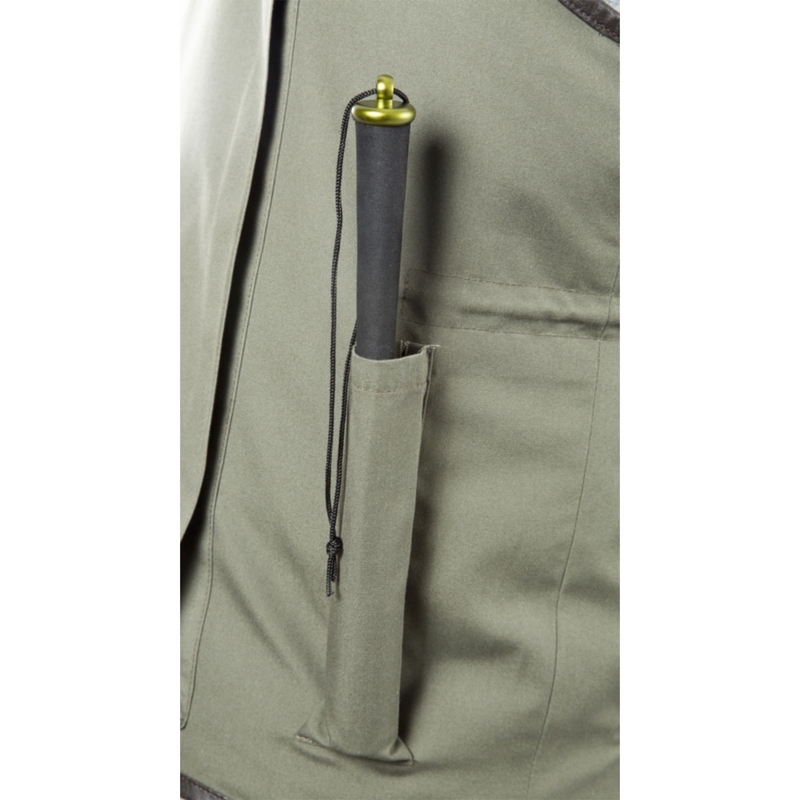 An inside waist adjuster cord with toggle-loks ensures a snug fit. 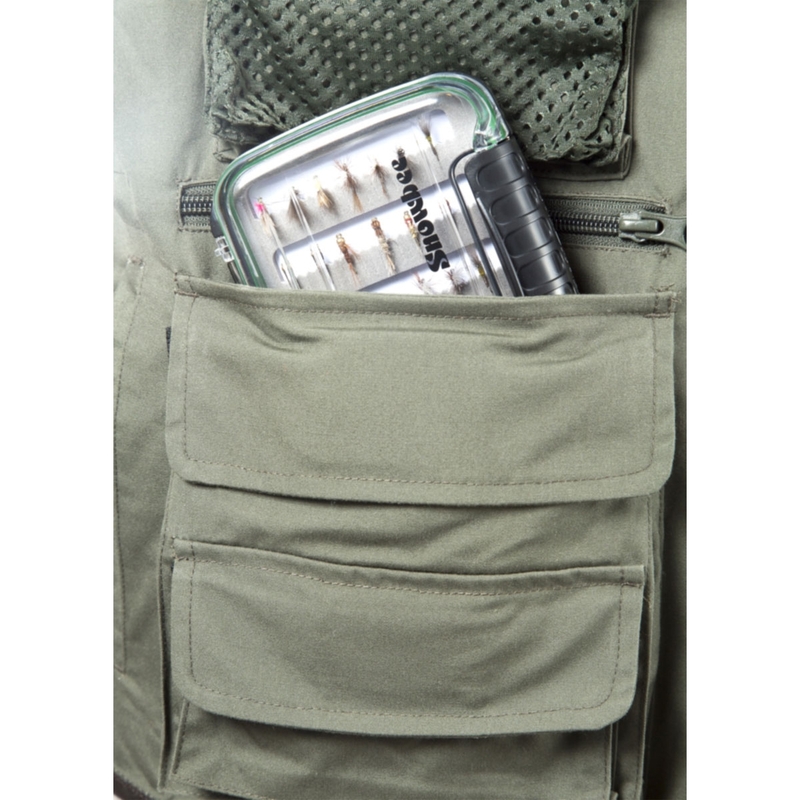 A total of thirteen front flap, pouch and zipped pockets provide ample storage for fly boxes, leader material, floatants, sinkants and accessories, plus concealed ethafoam fly holder. Inside there are a further three secure pockets for licence, wallet car keys etc, plus pen pockets. On the back is a large zipped pocket for a waterproof etc, plus a priest pocket, just where you need it on the right hip. Front rod loop and Velcro tab, plus one rear and two front D-rings for landing nets, zingers & accessories. Front zip and stud fastener. Does the job smart piece of clothing. This was to replace a Snowbee waistcoat purchased years ago. However the actual length of ordered waistcoat was over 50mm shorter than my old waistcoat plus the pockets were a lot narrower and only one internal zipper (my original had 3). Nice design but being purchased to help protect my lumbar region just did not do the job. Great product lots of pockets great fit and very comfortable. Bought as a Christmas gift so not used yet but it looks very well made and has plenty of storage pockets for all the fishing accessories.